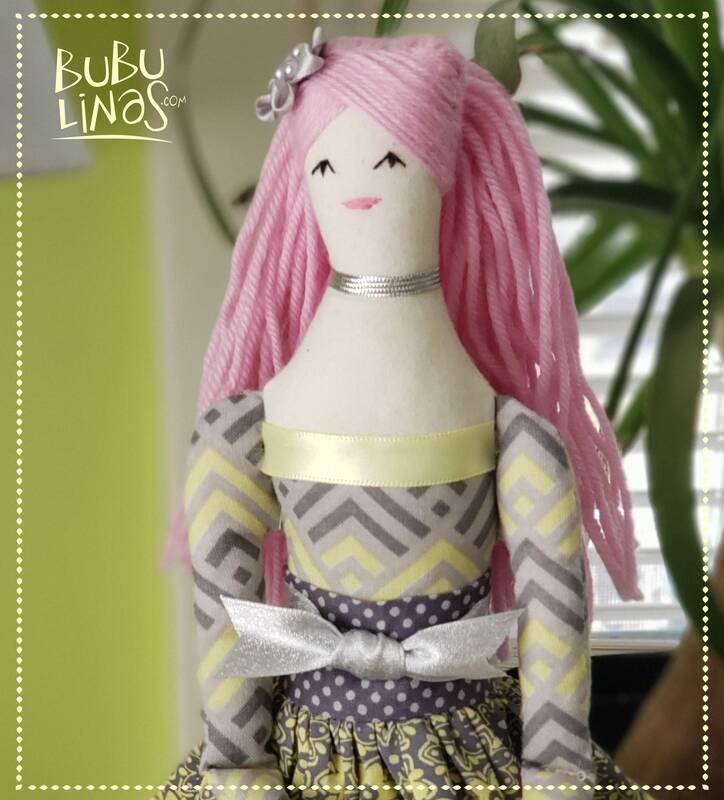 This lovely rag doll can be a one of a kind decoration for a girls room or a home office, she can keep you company while you work, or she can play, but very gently! Remember that she is not a certified toy so it's not recommended for kids younger than 6 years old and, as always, adult supervision is very important. 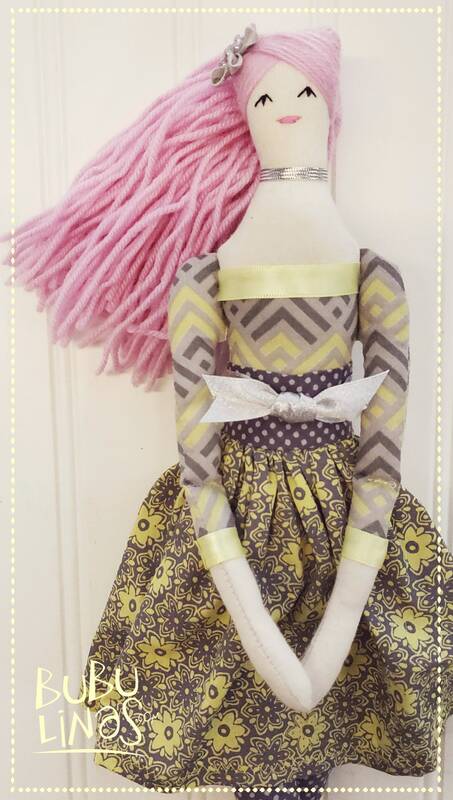 She is approximately 16 inches (36cm) tall. 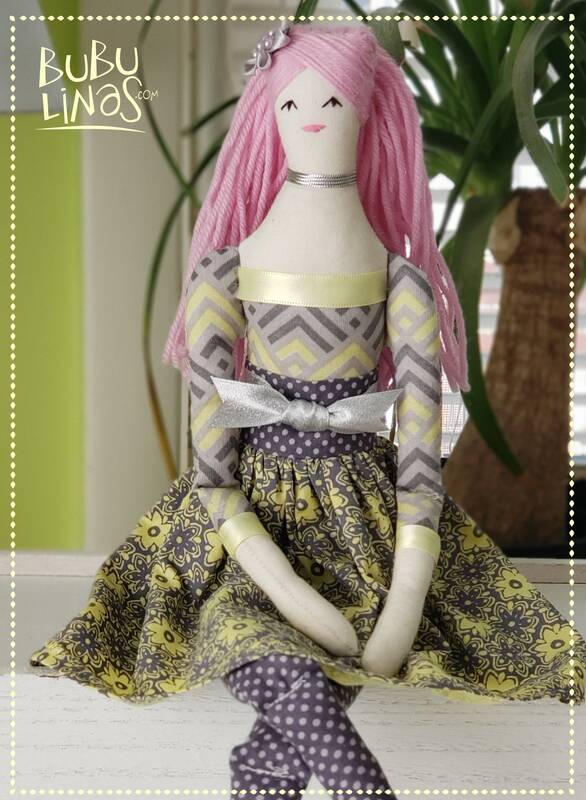 Her clothes are made with new and recycled fabric and are not removable. She doesn't stand on her own but she can sit with a little back support. The body may be cleaned with a soft damp cloth. 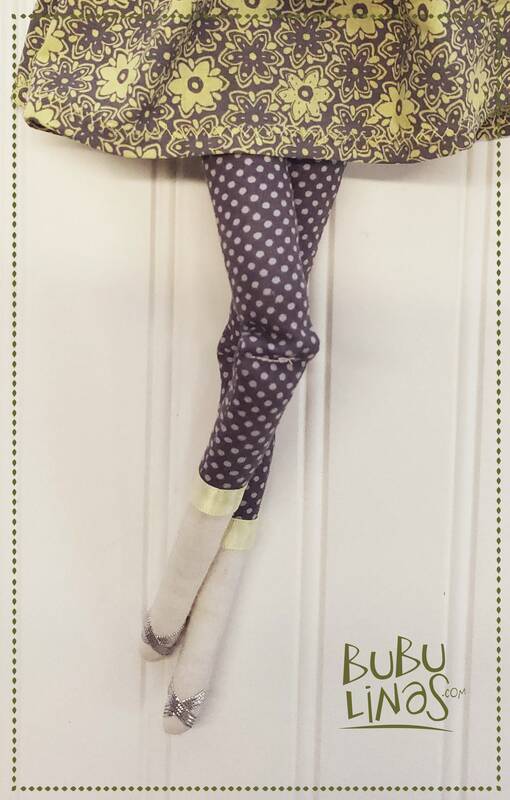 Please, do not put the doll in the washing machine. NOTE: Bubulinas are made in a smoke free environment, however I have two little dogs that, from time to time, come to visit Bubulina's home.